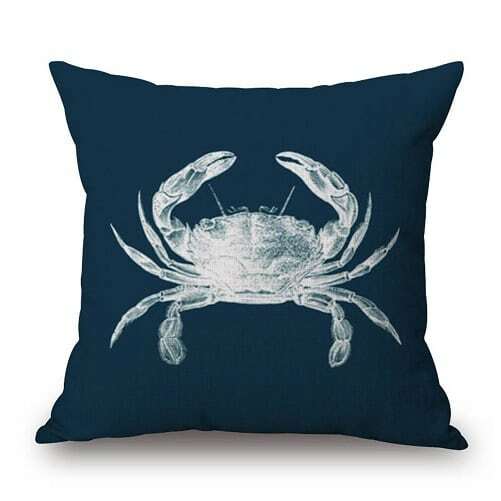 Crab decor is popular in coastal homes because there are so many different colors, styles, and sizes. 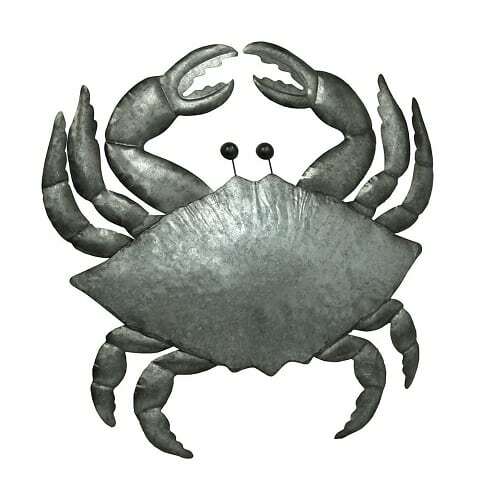 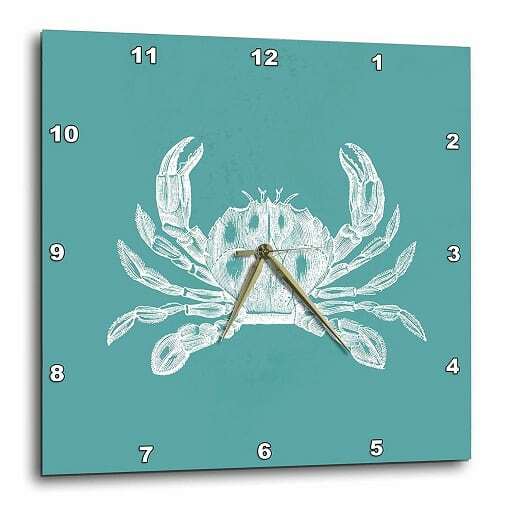 You can find metal crab decor that hangs on the wall, crab plates, doormats, artwork, crab themed pillows, wood signs, coasters, and more. 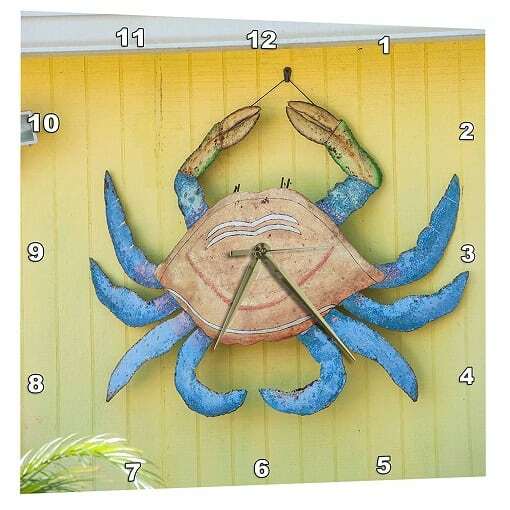 There are red crab, blue crab, and brown crab colored decorations so you can always find something to fit in your beach home. 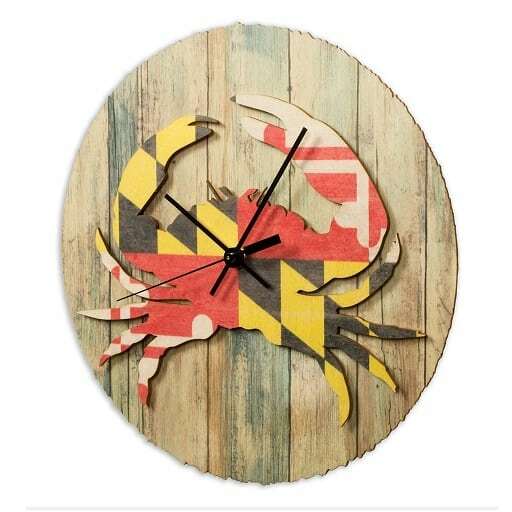 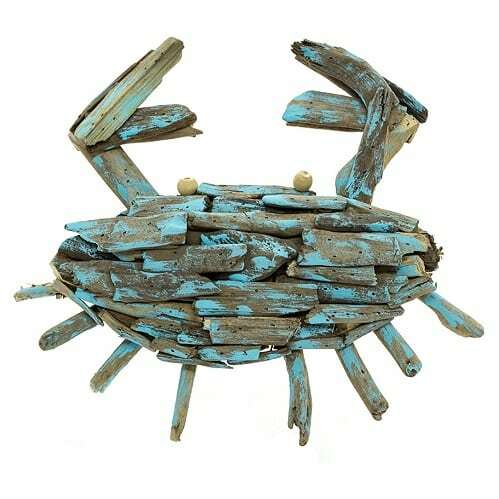 I know a lot of people in the Northeastern United States like to use blue crabs as decorations because they are so popular along the coast, especially around Maryland. 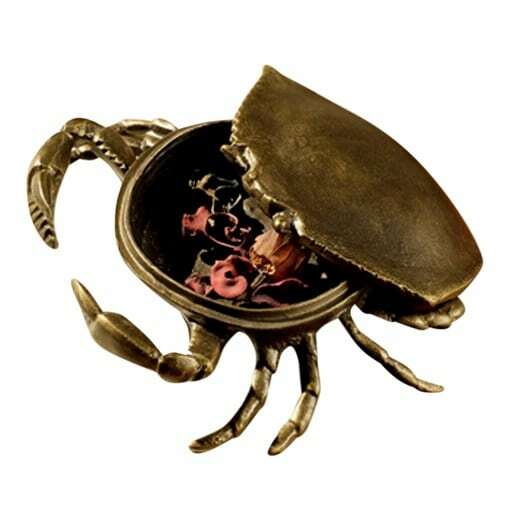 I decided to put together a list of some of my favorite crab decorations and accents. 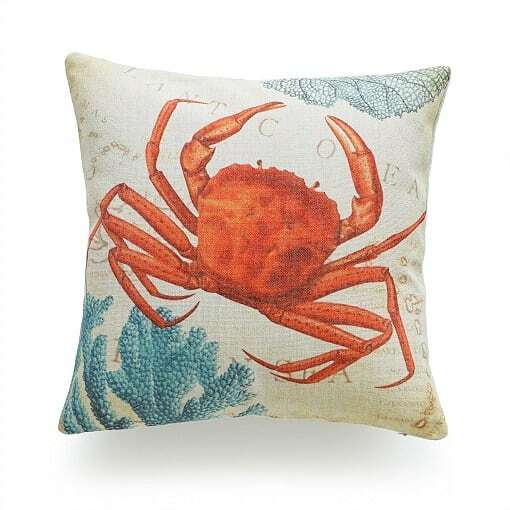 If you have a crab theme throughout your house, you’re sure to find something new to add to your collection. 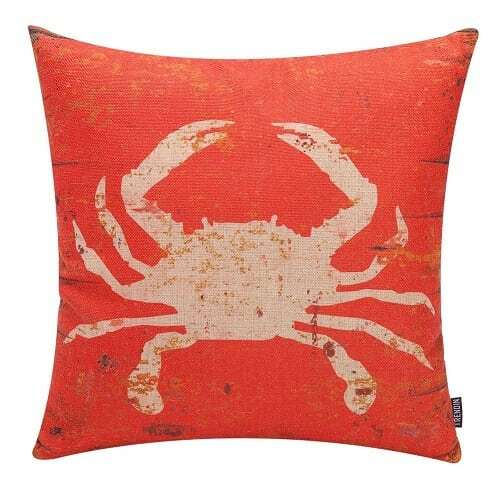 We started by listing all sorts of crab products that you can add to your walls, kitchen, floors, and more. 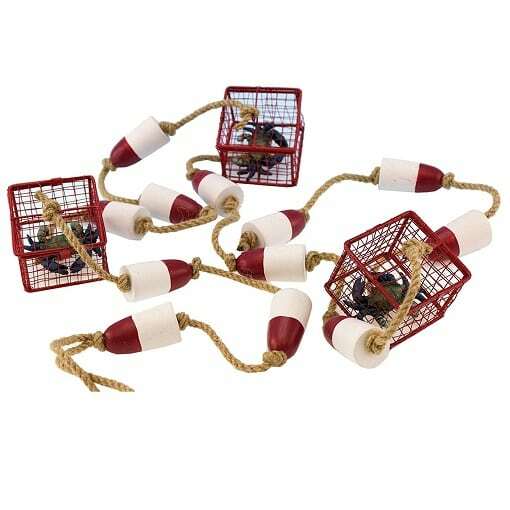 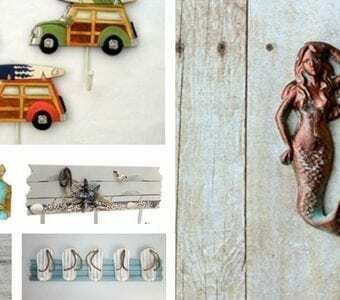 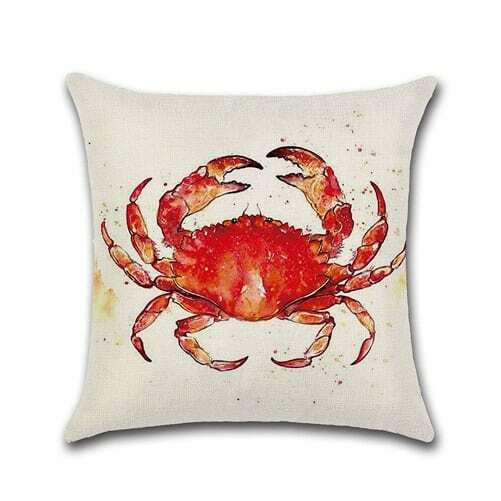 Regardless of where you need new crab home decorations, the products below will suit your needs. 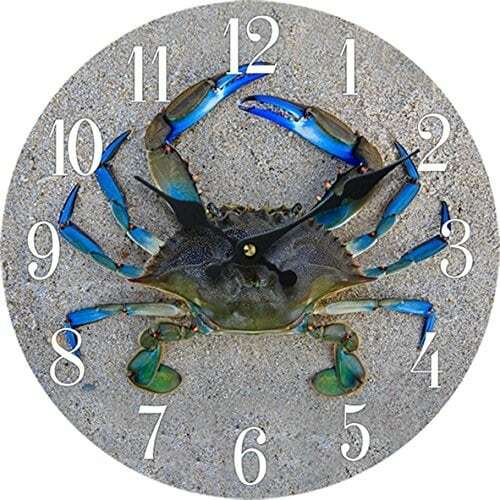 We cover some of the different types of Crab Decorations below that you can buy for your home. 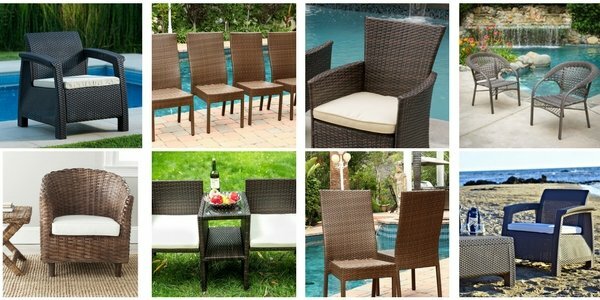 There are a variety of options to choose from so you can find the perfect piece of decor. 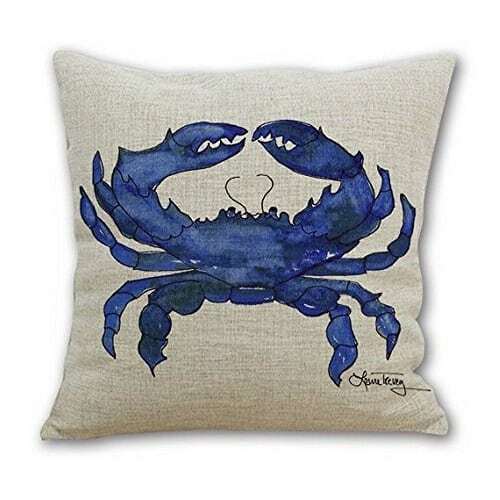 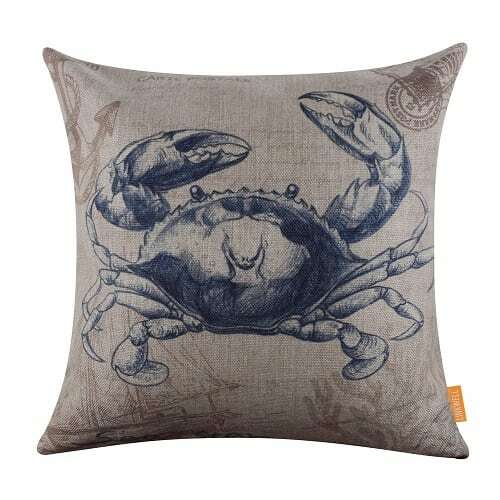 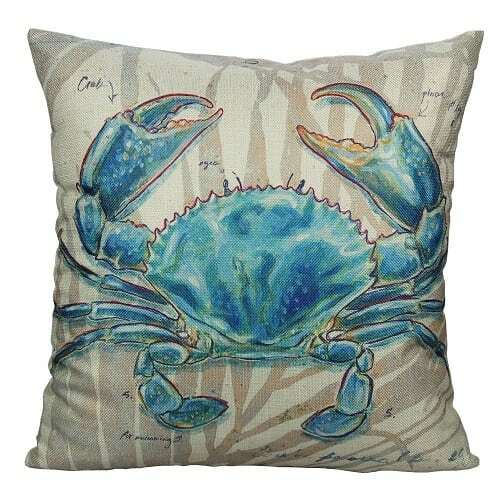 You can find a variety of throw pillows that feature different types of crabs and colors. 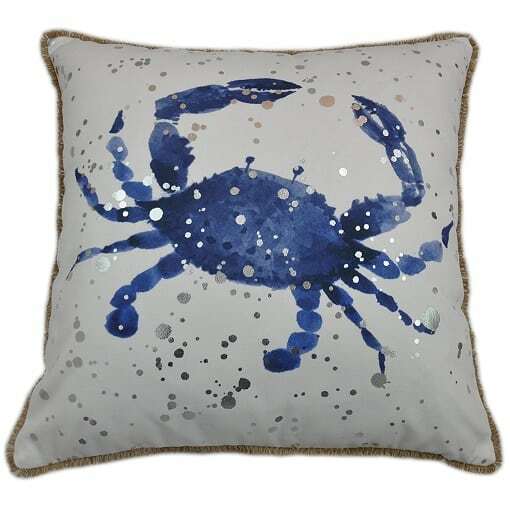 It is very easy to complete your pillows on your bed or your couch featuring cute little crabs and other ocean styles. 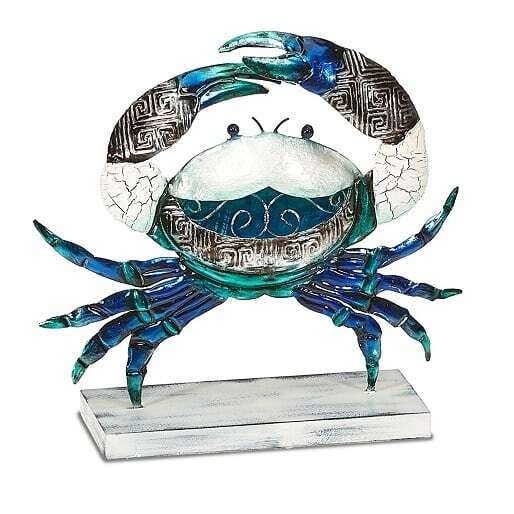 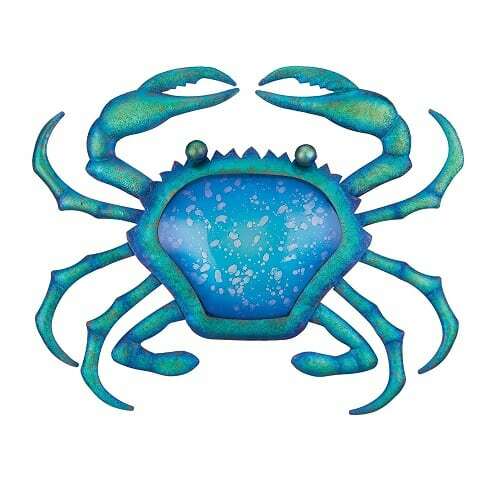 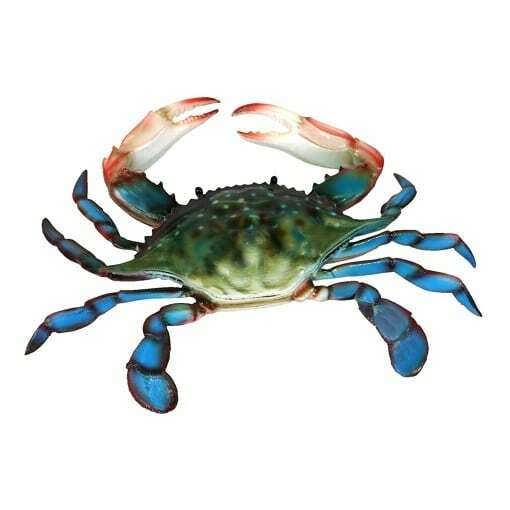 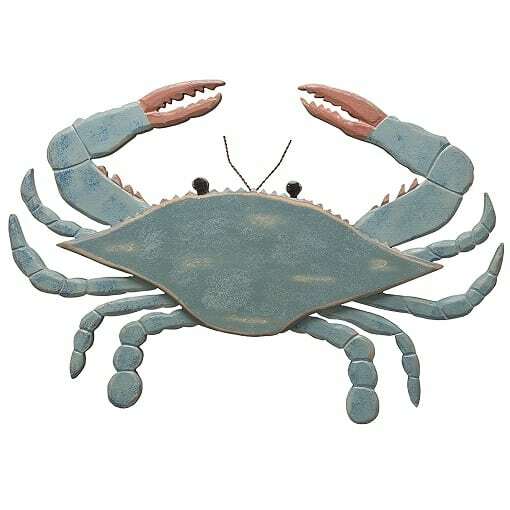 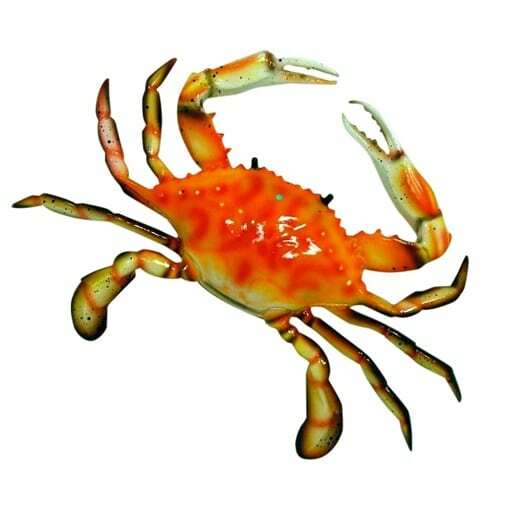 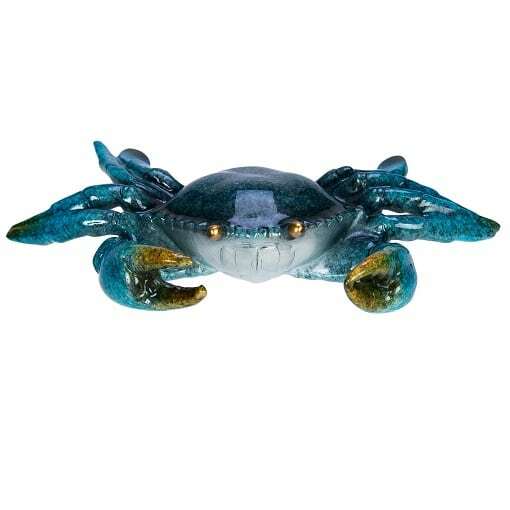 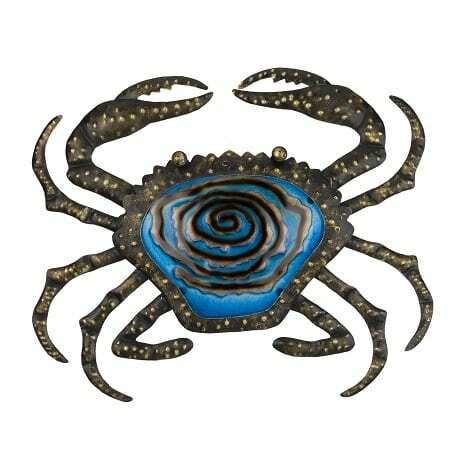 There are different types of crab wall decorations including plaques, wooden signs, figurines, metal sculptures, and more. 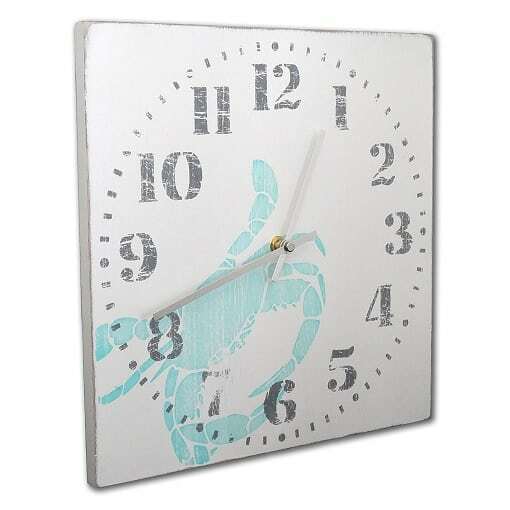 You can cover your walls with crab themed decor in different colors and styles. 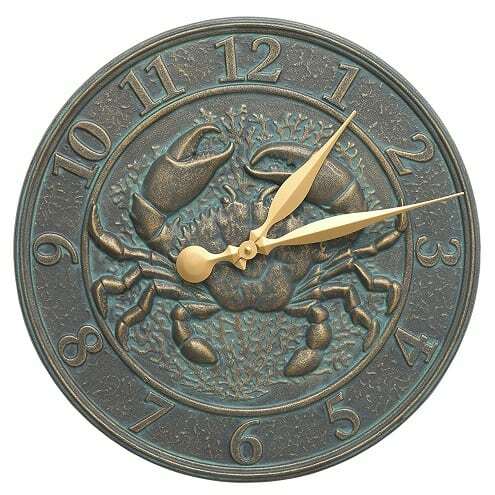 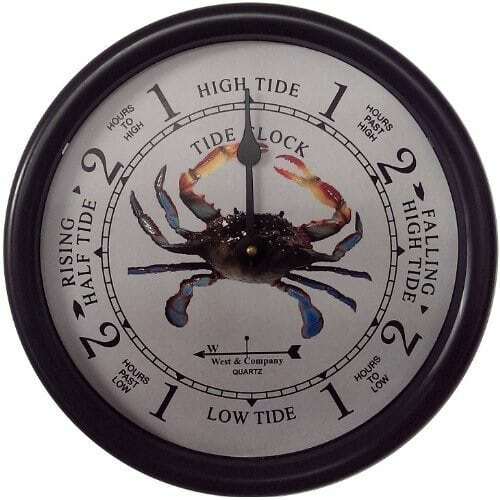 Lastly, crab clocks are popular to tell the local time, tide, or both. 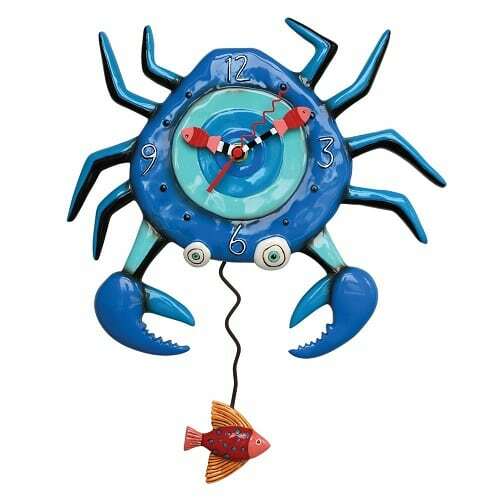 If you live near the beach and you love to go crabbing, you can choose to pick out crab party decorations. 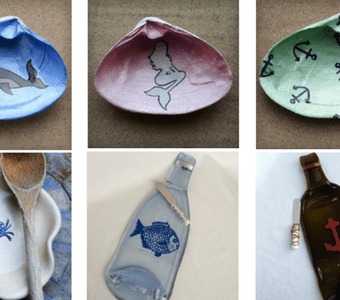 We included some products above so you can throw an ocean themed party. 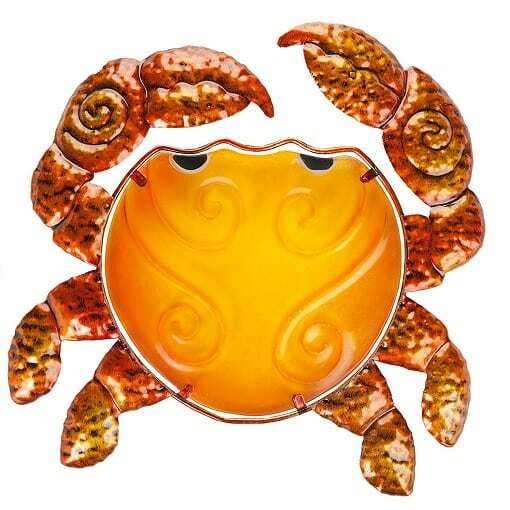 There are so many options when it comes to crab decorations so you are sure to find something here that fits your needs. 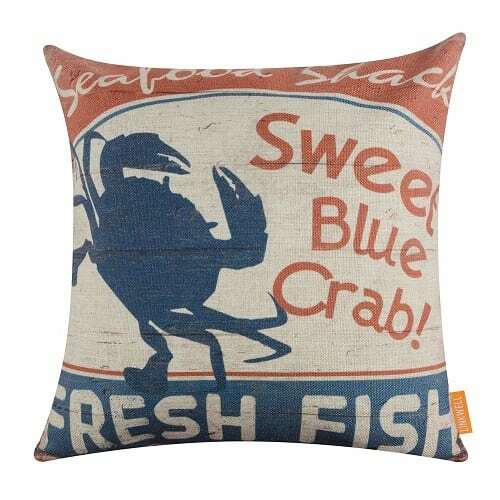 Now it’s time to get that new sign or accent for your wall, or a pillow for your couch. 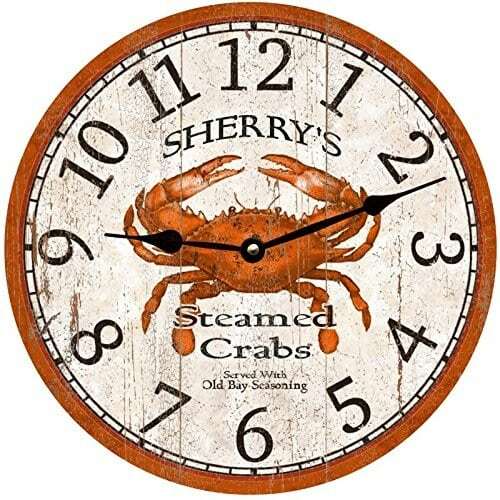 A slight change is good every now and then in your home!